Children’s party entertainment in London: our kids’ party entertainers tailor the party to meet your specific needs. Entertainers, magicians, clowns or puppeteers engage the kids and adapt the show according to the children’s feedback on the spot. This makes for a dynamic, riveting and fantastically fun filled party. We offer an exciting range of kids’ birthday parties tailored to age, number of kids, type party and individual preferences. AEIOU children’s party entertainment, magicians and clowns for birthday parties are tailor made for ages from 1 to 100. Starting with our first contact you will receive a professional treatment and service to help organise and plan your fantastic party. AEIOU only works with professional children’s party entertainers in London, who are trained with our methods and prepped for each party. Following the party we ask our clients for feedback in order to continually improve our parties. Nobody’s perfect but we aim to be! 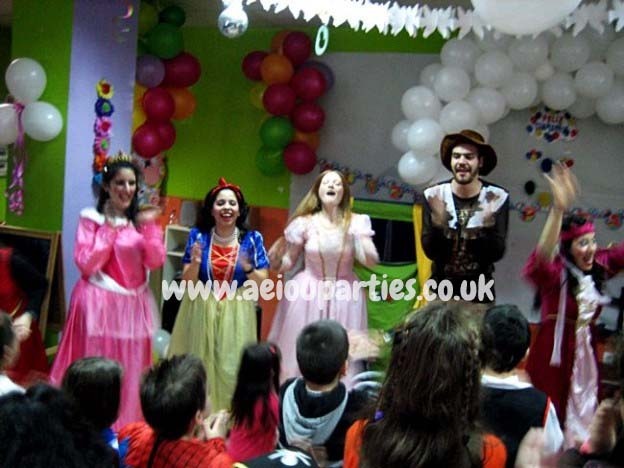 AEIOU children’s party entertainment in London use only top quality supplies and material for kids’ birthday parties: costumes, game/activity materials, sound systems & microphones. 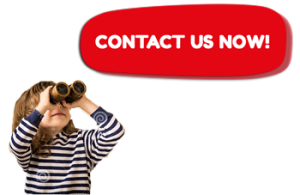 Simply contact us for specific details and prices of any children’s party entertainment package we offer. If you have a specific idea or don’t see the perfect kids’ party you are looking for, just ask us. We’re 100% flexible and eager to please! AEIOU Entertainment knows that organising a children’s party in no small feat in today’s world of deadlines and overtime. Let us help you with some extras to make that special day extra special with no effort! Decorations – Turn any ordinary venue (house, garden, main hall) into extraordinary. Party Bags – Everyone will go home with a smile on their face and a bag in their hand! Bouncy Castle – Will you be able to stay off it? We’ll set up and take down this essential party centrepiece. AEIOU children’s party entertainment in London want to celebrate an unforgettable party with you!